MEL SILBERMAN was Professor Emeritus of Adult and Organizational Development at Temple University for 41 years. Mel rose to international prominence for his contributions to the field of training. Mel passed away in 2010. ELAINE BIECH is President of ebb associates inc, where she specializes in helping leaders maximize their effectiveness. She is the author or editor of over 60 books. 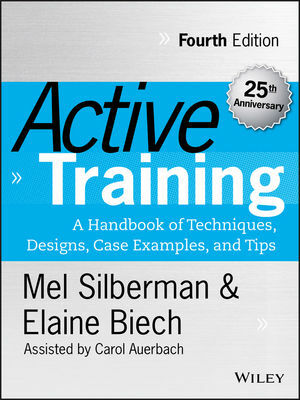 CAROL AUERBACH has over 25 years' experience designing and delivering corporate training programs for such companies as CIGNA Insurance, Kellogg's, and IBM.